 At 99 Cent Razor we believe everyone deserves a great shave, at a great price. That is why we have our quality guarantee. We are confident you will be happy with our top quality products, but if something went wrong or you are not 100% satisfied, we will issue a full refund. Please contact us if that is the case. Give our friendly customer service team a call: (866) 932-0146, between 9am and 4pm Eastern Time, or email us at [email protected].